11 mi | 3800’ ele. gain | 6.25 hr. I headed to the Gorge for a long, hard hike. This time of year, the low elevation trailheads in the Columbia River Gorge gave me at least a starting point with some options to climb up into the snow. Or not. I would find out today as I headed in the direction of North Lake. From the gate at the Wyeth Campground, I started up a wet but snow-free trail. The trail climbed up and up with many switchbacks. The air was slightly damp, a typical winter’s day. After hiking under some powerlines (classic!) the trail brought me into thick, mossy woods. 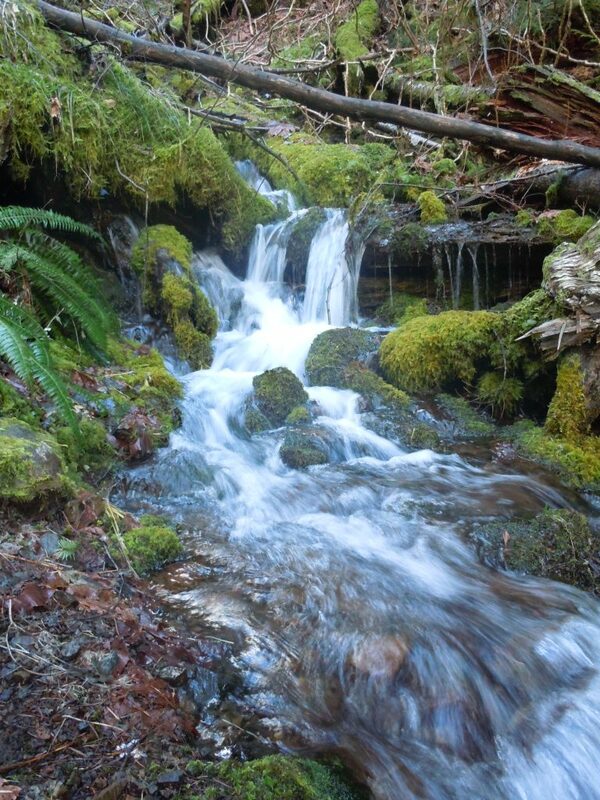 Water tumbled down little creeks and sometimes down the trail itself. 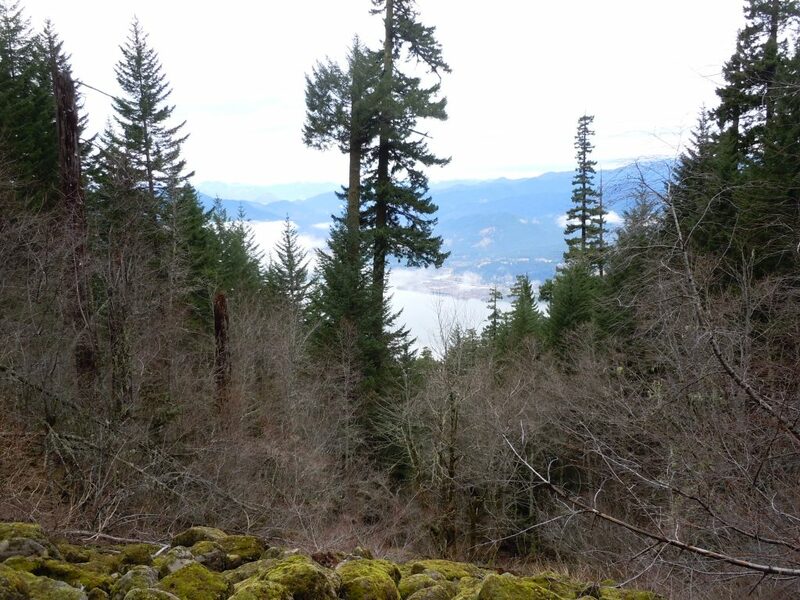 Occasionally the trail would pop out of the tree cover and provide a welcome view of the Columbia River. Low clouds prevented me from seeing the nearby volcanoes but it was still lovely to get my head out from beneath the trees. Although the trail was steep and unrelenting I was able to put my head down, walk at my own pace and gain a lot of elevation in just a couple of hours. At about 4000′ I hit pretty consistent snow cover. This would slow me way down and force me to pay really close attention to my surroundings. Suddenly I wasn’t covering much ground at all. In some places, the trail was quite obvious and easy to follow. In others, not so much. And, without snowshoes, the postholing got really annoying fairly quickly. Much to my surprise, I came across another hiker up here! We chatted a bit and shared our concerns with finding the trail. He was carrying a GPS but I was not convinced that he knew how to use it. I’ve seen it more than once: a totally confused hiker who had a high-tech device but lacked the skills to operate it. Oh no, I don’t just trust those things because I know that operator error is a big deal. We parted ways and I decided to go back down while he continued to try to follow his GPS. I was sure that I could at least go back the way I came without getting lost. There was no prize for making it to the lake, so I didn’t really care if I turned back. I had a nice day, I got some alone time in nature, I was a happy hiker. I suppose someday I’ll learn how to use a GPS. But I’ve been disappointed in seeing their use in the field lately. No one has yet convinced me that it’s the solution I need. I’m content in developing my non-electronic navigation skills, which won’t let me down if my batteries die! 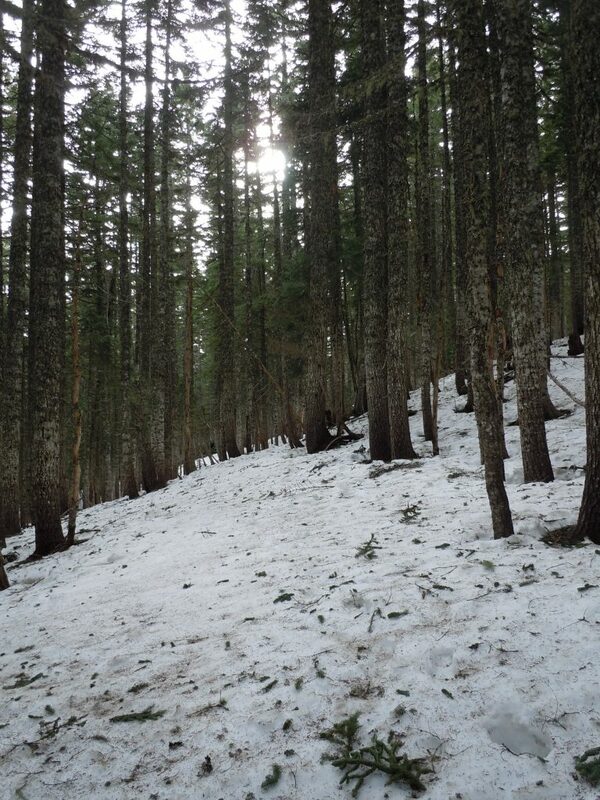 This entry was posted in Hiking, Oregon and tagged hike366 on January 23, 2011 by Jess B.